Discover the North Channel, Manitoulin Island to Sault Ste. Marie Areas. The northwestern end of Georgian Bay leads to the North Chanel, which is a boaters’ paradise with nature’s entire splendor. The North Channel was part of the route used by travelers to reach Lake Superior. This is another area that allows boaters to enjoy wide open cruising that Lake Huron offers or the relaxing ride through the many channels and bays to a number of destinations along the way. You can travel to Manitoulin Island, Killarney, Little Current, Gore Bay, Blind River, Thessalon and Sault Ste. Marie. After the cruise from Killarney you continue to experience the beauty of nature on your way to Manitoulin Island-which means Spirit Island in the Ojibway language. This is a great place to take a break and one great spot to stop is Little Current, the largest community on the northeastern tip. This is the Gateway to Manitoulin as it is the only connecting area to the mainland. 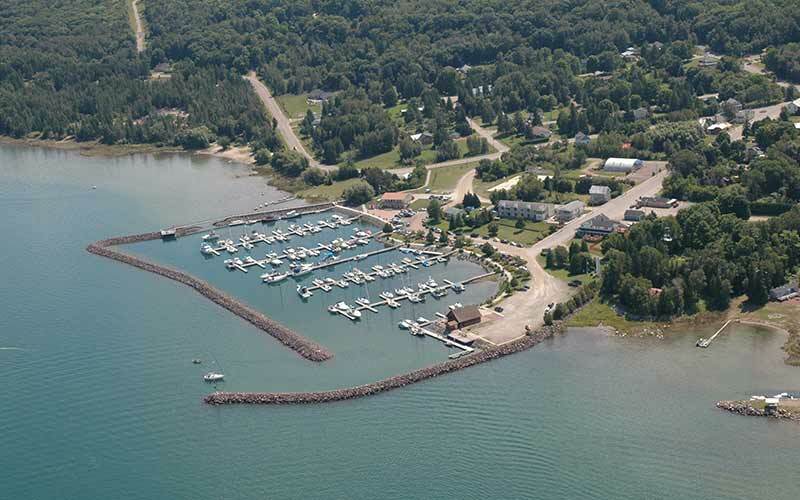 Boaters, this wonderful area for boat traveling, stretches approximately 160 nautical miles; from Sault Ste. Marie to Killarney with lots of sights and fantastic ventures waiting for you to discover. Developed & Designed by Algoma Kinniwabi Travel Association © 2019. All Rights Reserved.